Belmont graduates go on to launch all kinds of careers, and for alumna and entrepreneur Maegan Young Phan, life as a young professional has come to mean opening her own cafe in Nashville. But her venture is not like the many traditional coffee shops filling the city. 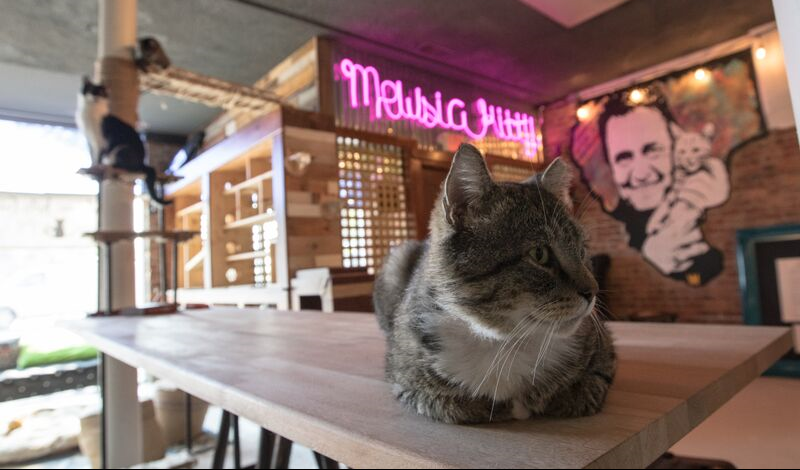 Her Cat Cafe, known as Mewsic Kitty Cafe, was opened in April 2018 and is Nashville’s first of its kind. The concept, often called a cat-fe, is a twist on a traditional cafe that features friendly cats for customers to enjoy. Cat-fes have become popular concepts in recent years with new ones popping up in cities across the country. Customers are invited to pet, play and cuddle with cats while they enjoy a hot or cold beverage and a pastry. All of the cats at Mewsic Kitty are brought in through a partnership with Nashville Cat Rescue and are available for adoption. For Phan, one of the best parts about owning Mewsic Kitty Cafe is getting to interact with and see others interact with the cats. Not only do people experience a unique cafe environment, but they also get to spend time with loving and playful cats. People who visit the cafe thoroughly enjoy it, so much so that Phan recalls one young guest saying his visit to the cafe was the best day of his life. To learn more about Mewsic Kitty Cafe or to book a reservation, visit their website here.